The Buttonhookers won another thriller over the champion London Rebels, cementing their place atop of our rankings heading into the playoffs. They’ll be buoyed by the news that the Lions dropped a game, as they’ll likely wind up hosting the southern playoffs. A place in the final four seems almost guaranteed for the “rookie” squad. The Rebels don’t drop down quite yet, despite currently having two losses. They only lost to the Buttonhookers by a combined 7 points, and when they last faced our #3 team at Champions Bowl, the Rebels whipped the Hornets, granted this was when neither team was at full strength. 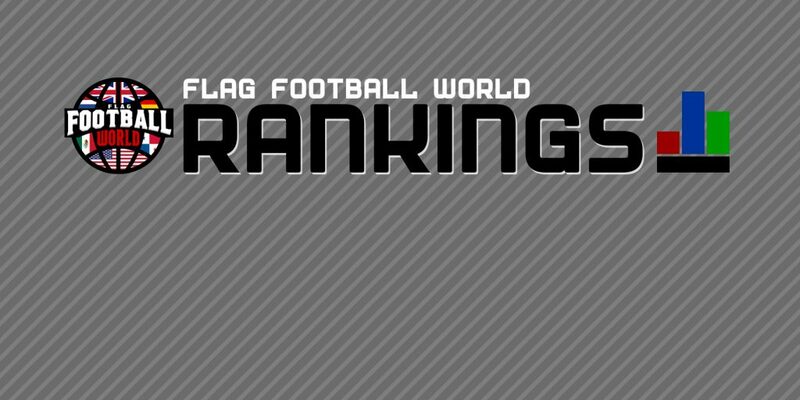 They’ll face a strong southern playoff field however, and will be made to fight for their Britbowl place. The Hornets came back from Champions Bowl with a bang, as they took on the two other HNC powerhouses in a huge round of fixtures. The Hornets put in arguably their most complete performances of the season, soundly beating the Oilcats and Broncos respectively. They did so without the services of their star QB, Alan Young, as Nicholas Farrell admirably took the reigns. Their loss to the Rebels at Champions Bowl wasn’t overly surprising, but the manner of it was. They’ll be aiming to lock up their hosting duties for the playoffs and give them the best chance to get to the final 4 again. 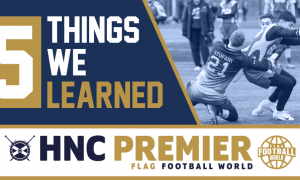 Newcastle comfortably defeated the Sheffield Giants to show that they are the current class of the MEC. Finishing the season undefeated was an incredible achievement, and they deserve all the plaudits coming their way. They have one of the top defences in the country, and boast a well drilled offence, capable of harming teams in a number of different ways. The Blackhawks would likely be slight underdogs against any of the other teams in our top 10, but they’ve relished that status for most of the season. The Birmingham Lions might have dropped a game this past weekend in surprising fashion, but they’ve looked damn near unstoppable the rest of the way. They can go score-for-score with anyone when Tristan Varney is on his game, but their defence has shown signs of weakness. They’ll enter the playoffs as the #2 seed from the south, and have a great chance to advance to Britbowl. The Broncos will be ruing their missed opportunity at toppling the Hornets in the HNC. They can find solace in the fact that an unfortunate injury to captain Fraser Thomson in the early exchanges meant they weren’t entirely at full strength. They’re a dangerous squad, laced with talent from top to bottom. The Broncos could do some serious damage in the playoffs, provided they avoid mental errors and injuries. The Sheffield Giants have been tremendous for much of the season, but lost an unfortunate game against the Blackhawks. 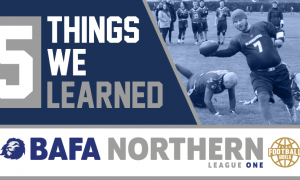 They have the quality in their ranks to mix it up with anyone in the BAFA leagues, and have been excellent under the guidance of Dean Whittingslow so far. They face a tough ask to make Britbowl with a potential journey to Glasgow, but could definitely prove the doubters wrong. The former Britbowl champs picked up a huge scalp when they hammered the Birmingham Lions. Behind 4 first half interceptions, the Hurricanes showed the league once again why they should not be ignored as we approach the playoffs. They’ll have to run the table to get to Britbowl, but as they’ve shown, they are more than capable of beating the best teams in the nation. The Oilcats move down for now, but could be the dark horse to win the whole thing. So far this year, they’ve not shown up when tested. A first half collapse against the Broncos, followed by a shellacking at the hands of the Hornets. Both teams did an effective job of limiting the impact Gary Elliot had on the game, and with often weakened squads, the Oilcats have struggled to adapt. 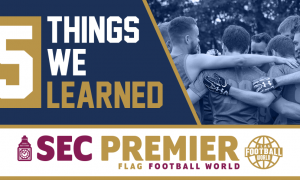 They are, at their strongest, one of the most feared teams in the BAFA leagues, so should they be able to field their strongest sides come playoffs, they will be a tough task for any team to defeat. The Titans Blue return to our top 10 after a brief hiatus, in large part due to their heroics against the Cardiff Hurricanes, where they won with a walk-off pick six. The Hurricanes had shown their quality earlier in the day, so this was a true show of strength for the Northants side. Their loss to the Cougars did cause some concern at FFW HQ, but given that they were down to their fourth string QB, we’ll give them somewhat of a pass. They do miss QB Adam Grindrod for the playoffs however, and have a real uphill battle to make Britbowl. They’ll need to rely on their ballhawking defence to produce extra possessions against the stronger teams.